Another exciting and productive week here on the farm. Once again, we worked around the weather to keep filling up our fields for the season. 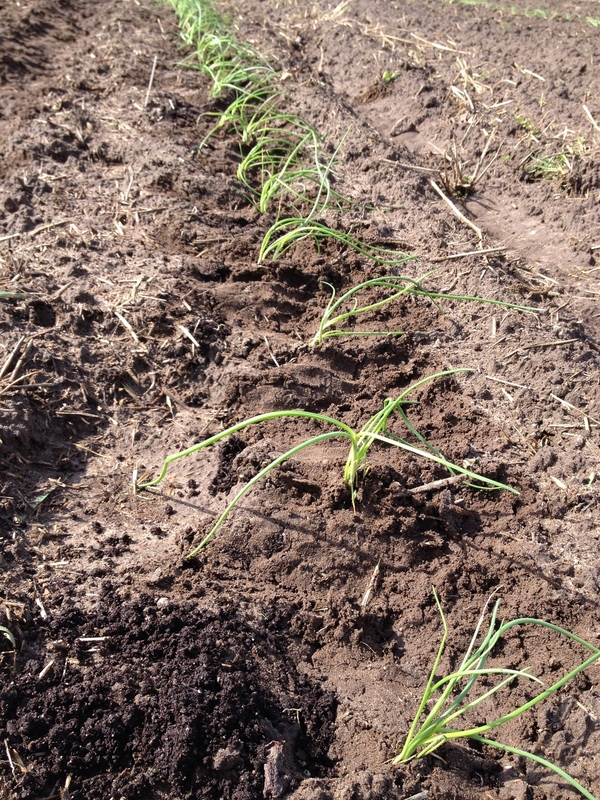 We planted our onions, shallots, and scallions, which is a big crop for us. We kept planting lots of greens, like chard, cabbage, and lettuce. During those times we couldn’t be out in the fields, whether they were actively being drenched or were too wet to plant, we continued the seeding process indoors. There’s something almost meditative about hearing rain fall outside while you’re planting seeds that will result in delicious vegetables weeks, or even months, from now. The many new arrivals of last week are as cute as ever, or maybe even cuter. The newest two litters of pigs are making their first few forays into the pasture, and they are tiny but very sturdy. As I mentioned last week, we stumbled into a bit of an unorthodox situation in regards to lots and lots of day-old chicks. Well, it was a gamble after all. These were not a mixed “barnyard mix” as advertised, but instead a discount mix consisting of all male chicks from heritage laying breeds. That means our new laying flock is a few more months off than we thought, but that we’ll have a freezer full of birds nonetheless. I also helped in the first check of our two new honeybee colonies. We were able to find the queens in colonies, and we’ll be checking back in periodically to make sure they’re going strong.